This first of this excellent series of shows, just the job if you are planning an extension or renovation for 2019 opens soon – later this month in fact t – at Farnborough,Hampshire. 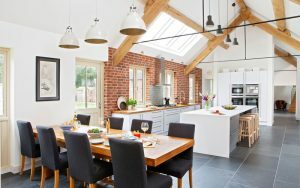 The Shows, organised by the knowledgeable, creative team at the Homebuilding and Renovation Magazine, are being staged at numerous venues throughout the year ahead. At these most worthwhile, well-presented shows, you will get the chance to meet specialists and experts to find out all about everything to do with extensions and renovations from plot finding to perfecting interiors. You can get personalised advice on your very own project, and also discover brands showcasing a vast range of stylish useful build project products. 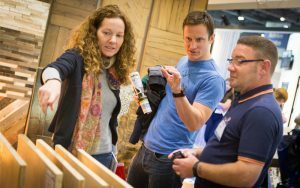 Each Homebuilding & Renovating Show is a ‘hub’ of building and renovating expertise – worth getting along if you can! The show organisers stress that whether you’re mid-way through a project or don’t know where to start, the Homebuilding & Renovating Shows are brimming with bright ideas. They suggest you swap months of scouring the internet for some there and then, face-to-face consultation. There are specialist Master-classes and hundreds of products – all under one roof. Your chance to get all the ideas and advice you need to help your project plans. The exhibition team invite all visitors to bring their ideas, plans or problems to the show Advice Centres for FREE one-on-one consultations. You’ll meet architects, planners and self-build or renovation experts, all of whom are perfectly equipped with the knowledge to guide you through your project however challenging. 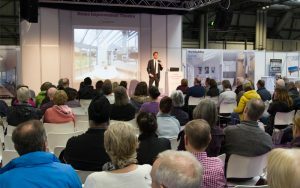 There are also Seminars, Master-classes and Tricks of the Trade sessions, where self-build and renovation experts will focus on key topics of relevance and interest. You can learn to understand how to design and build a sustainable home and pick up all kinds of handy style tips and renovation ideas. If needed to, you can even start at the very beginning with a guide to planning permission issues you may face if you improve your home. We at Mint are always on the lookout for new renovation and extension ideas ourselves, so that we can support guide and advise our clients on all the trends and possibilities they could consider for their up and coming project. These great shows also throw up some great ideas for sure – perhaps we’ll run into you sometime at one of these shows this year ….in any event …Enjoy! Mint can help you get the extension you want most for your home..
Refurbishment, improvement and extension – Mint offers a full development and finishing service to add value to your home and we’ll help with any questions or concerns you have. 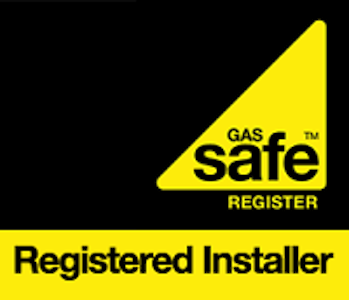 Whatever your need request your ‘Extend Instead’ review or quotation to improve, refurbish or extend your home . Best bet for the New Year ? – Don’t Move – Extend Instead! Extend Instead’ to beat house sales uncertainty!